Been working on some garden beds for our veggies this year, wanted to try something a little different, a little more instant construction. So I'm going with the Lee Valley Raised Bed kit which uses pre-cast concrete instead of wood to form the bed sides. What I didn't realize is pre cast concrete slabs weight 90 pounds a pop. So I'm exhausted from just hauling them into the yard. 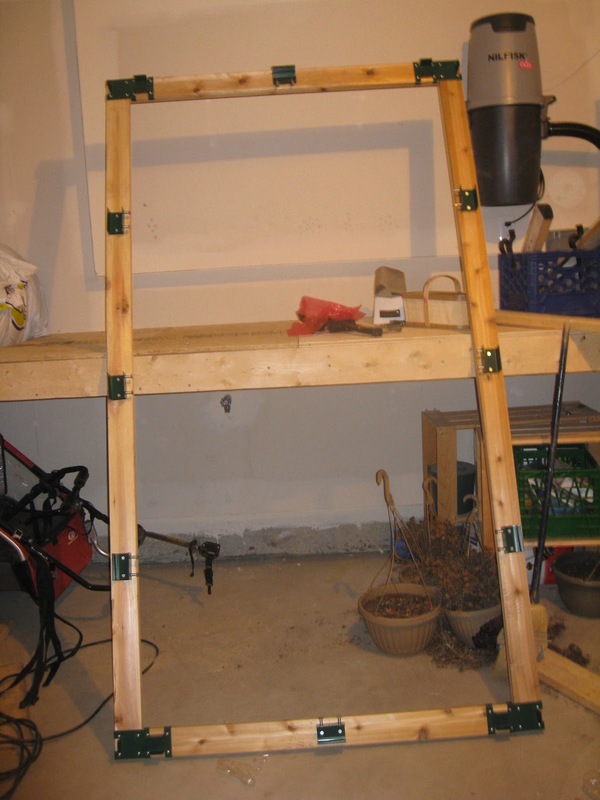 I've put together the first frame in the garage, and I will do the second tomorrow, I used cedar instead of pressure treated because I wanted the to not worry about the chemicals leaching into the veggies. Hopefully I can't get everything put together on Friday as I have a few cubic yards of soil coming to fill the bed. I just have to remember no planting until May.